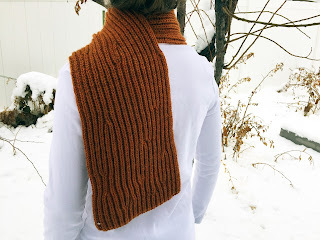 In my sprint to finish something in January, I was able to finish my fourth wearable tree bark project. Unfortunately, I did not finish any knitted bark panels for the exhibition. But February is for finishing panels so I will post those when I have at least a couple done. The Redwood Scarf is perhaps my favorite. It is a very subtle but cozy scarf knit in brioche stitch. 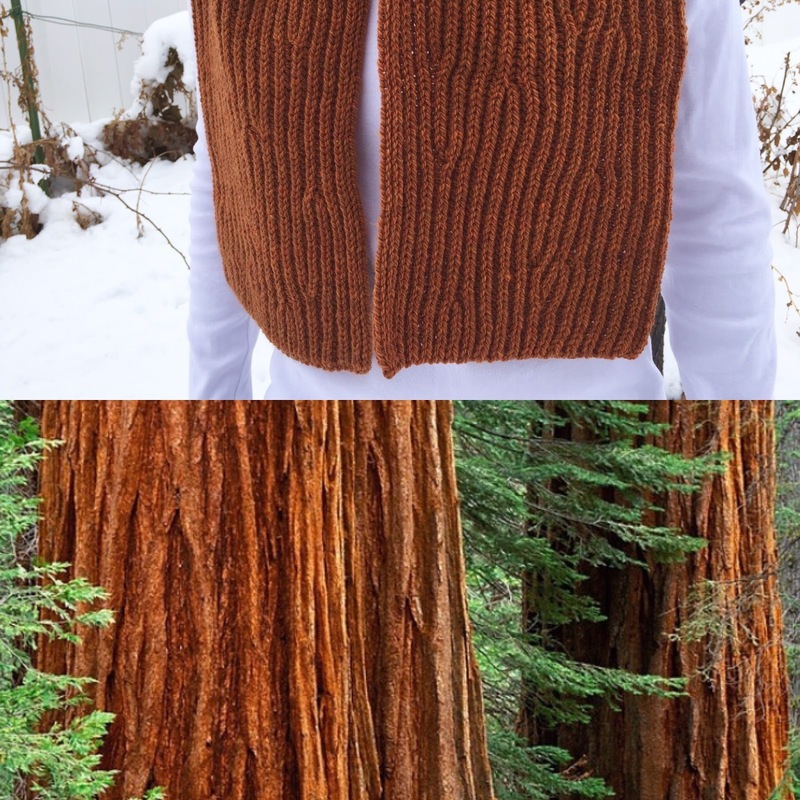 The increases and decreases give it the telltale redwood look. If you want to knit one, I have patterns for all of these finished objects but I am waiting to publish them until after the exhibition in June, so you gotta wait. 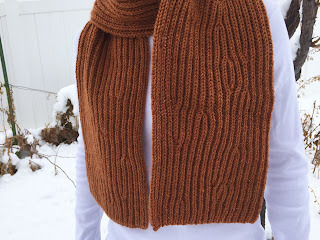 I will show you pictures of the Palm Cowl in a couple days. That is my last finished object until I can get a few of those pesky panels for the exhibition completed. 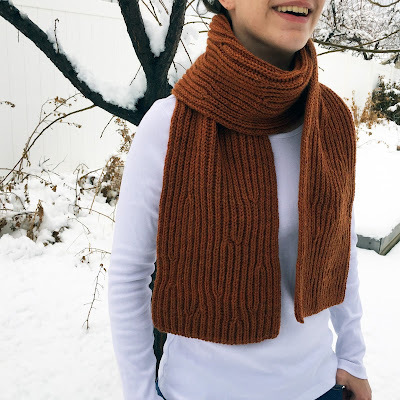 Do you sell your patterns? How do I order? 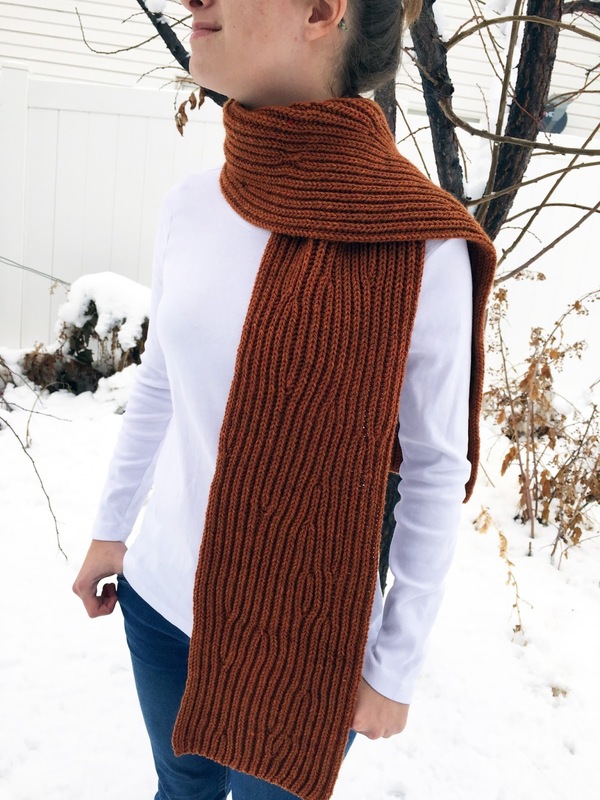 Hello, I fell in love with this scarf but I am new to brioche stich and wanted to try it with 2 colours. Do you think that is feasible? thanks! Yes, I think it is doable! 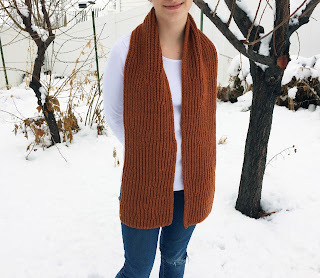 The scarf is a traditional brioche stitch with increases and decreases that follow the brioche pattern (2 sts are increased or decreased at one time) so the two color brioche will work. Good luck and I would love to see it when you are done! Would it be optimal to have a right slant increase paired with a right slant decrease? or does it matter?? Can right slant decrease be paired with a left slant Increase? Yes, you can totally mix it up. A right slant increase can be paired with either a right or left slant decrease and the same for the left slant increase. You can even do several pairs of increase/decrease stitch in a row if you wanted to. Just be sure to pair a increase with a decrease to preserve the stitch count. Good luck!